Have you ever looked up a local restaurant on an online review site before trying it for the first time? Patients do just that when searching for a new healthcare provider, which is why it’s important that your online presence is optimized to showcase your dental practice in the best light possible. In fact, over 85% of patients do online research before scheduling a doctor’s appointment. This makes managing your online reputation imperative because negative reviews can send a prospective patient away before they ever even get to your practice website. The best defense is a great offense. You want to avoid getting negative online reviews altogether. The best way to do that is by being a great listener and having open lines of communication with your patients. Dental patients often use poor reviews as a means of retribution because they didn’t feel heard or they had unfulfilled expectations. Make sure that you and your staff are open to hearing patient concerns, ready to address issues as soon as they occur, and receptive of suggestions and criticism. Despite your best efforts, however, negative reviews may occasionally occur. But how you handle them can turn the situation around. All is not lost when you see that 1-star Yelp review pop up on your practice profile. While not ideal, the situation can be remedied with a thoughtful response. First, don’t panic! A poor review, while not optimal, is often seen as an outlier if all your other reviews are glowing. 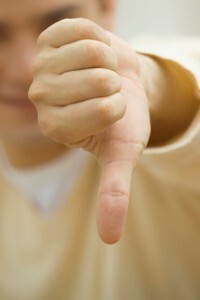 In fact, some suggest that a poor review actually validates your positive reviews. Next, respond to the review by writing a non-emotional, professional response acknowledging the reviewer’s concerns and indicating you will be contacting him or her to discuss the matter. Then take the discussion offline. Contact the reviewer via phone to discuss the concerns one-on-one. If the conversation goes well, the reviewer may agree to remove the negative review. If not, other prospective patients who see the review and your response online will see that you’re a kind professional who takes your patients concerns seriously. It’s hard not to get emotional when you get a bad review. But it’s important that you try not to take it too personally, rather look at the situation objectively and use it as a learning experience to help you avoid a similar situation in the future. 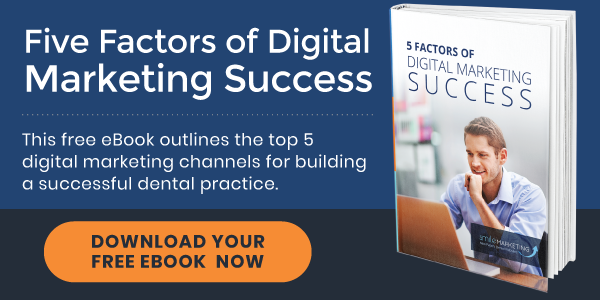 Are you attracting and converting enough new patients from your practice website? If not, download our free eBook below and learn about the 5 factors of digital marketing success. « New Dental Websites Just Launched – Summer Hill Dental Group, Image Dental & more!